Andrew Podnieks and the NHL have teamed up again for their annual summer release honouring the Stanley Cup champions. Of course that means The Year of the Chicago Blackhawks: Celebrating the 2013 Stanley Cup Champions is an absolute must-have for all Chicago fans. Now I know in the past I've been a little bit critical of this series. It is rushed out just a few weeks after the hockey season has ended and as a result follows a rigid template year after year. I would like to see the NHL take a little more time and come up with something a little more unique from year to year. The Stanley Cup champion and their fans deserve that. But the 2013 release, published by Fenn/McClelland and Stewart, is a gem as is. The Blackhawks season, which started with an unprecedented winning streak and ended with Lord Stanley's mug, is brilliantly captured by Podnieks' writing and by the beautiful photography that fills the 144 pages of this paperback. My mom always told me presentation is very important, and these guys delivered. Just like the Blackhawks did. A deserving keepsake for a deserving champion. Hawks fans will love reliving such an amazing season with each turn of the page. If you are interested in this title, you my also like Unstoppable! 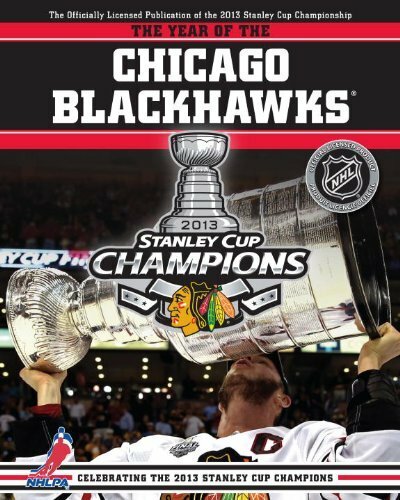 : The Chicago Blackhawks' Dominant 2013 Championship Season by the Chicago Daily Herald.